The Mohawk Institute operated as a residential school for 142 years. The building is an important site for education and healing for the Six Nations of the Grand River near Brantford, Ont. Jeff Goodes visited the old schoolhouse and spoke with survivors. Originally published on June 18, 2017. The former Mohawk Institute Indian Residential School stands at the end of a long, tree-lined driveway. Founded in 1828, it was a place where Indigenous children were separated from their families and stripped of their heritage. Many of the children were physically, sexually, and psychologically abused by teachers and staff. In 1970, after 142 years, the school was closed and turned over to the Mohawk community. It became a part of the Woodland Cultural Centre where history, education, art, and performance now converge. The old school building became a powerful place of engagement with the concrete reality and painful legacy of residential schools in Canada. 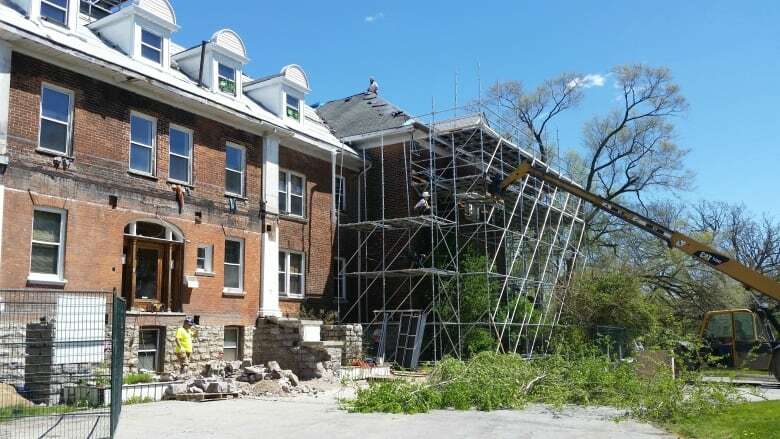 Four years ago, a severe flood damaged the building, and the community was faced with a decision: renovate the old school, or tear it down? By an overwhelming majority, the community voted to renovate and restore it. And that was the beginning of the Save the Evidence Campaign. 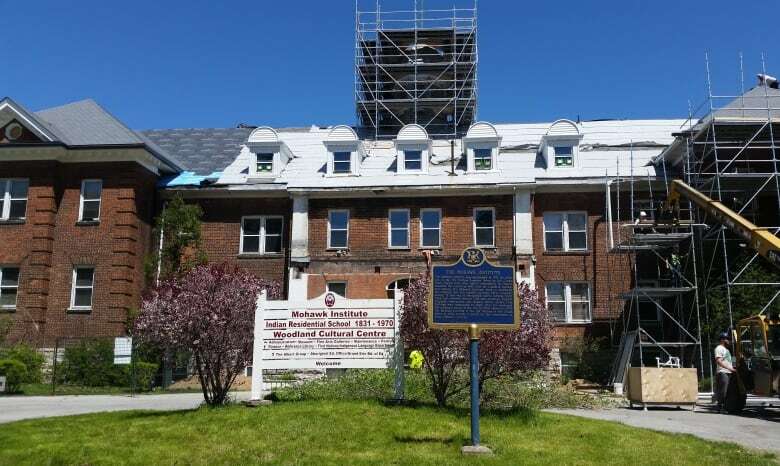 While construction crews work at shoring up the building, there's another effort underway, to preserve the stories and memories of former students. Jeff Goodes traveled to the Woodland Cultural Centre in Brantford, Ont., near the Six Nations of the Grand River, to tour the old schoolhouse. He met two survivors of the school, Beverly Bomberry-Albrecht, and Blanche Hill-Easton, as well as Lorrie Gallant, the Woodland Cultural Centre's education program coordinator, and Kaley Reuben, a cultural interpreter. Here's some of what they shared with him, in their own words. "If you have a building, you can go in there and you can feel. Like some people are very sensitive; they can feel what the young children felt. So that's why I think it's better to show. Because even people in Brantford still don't believe this was [a] residential school." 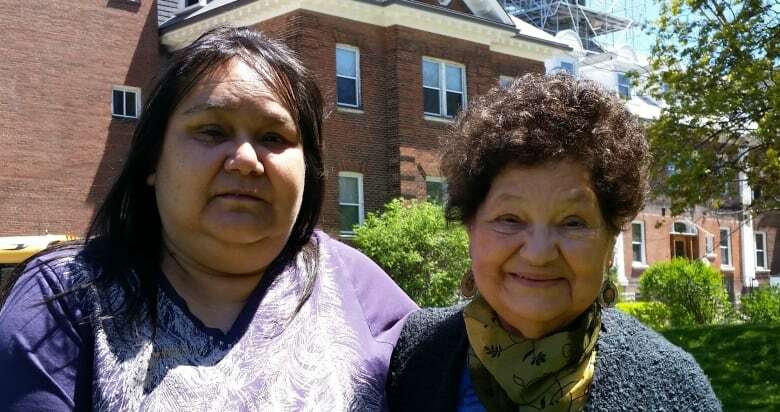 "I didn't necessarily have to go to residential school…. But I'm a byproduct of it, in that I'm here beside you, I'm Mohawk and I'm Cree, and I'm only going to speak English to you. That's an effect of it, because I don't have my language and I don't have my culture, and it's made me into everything I am today. All the struggles that I went through as a youth, getting into alcohol and drugs ... just everything, to try to find out who I was. But it had to take going into that building, or just fully taking on the pain and the hurt and the guilt and the trauma, to then discover who I was. Because it doesn't define me, but it gives me an indication as to how I got to where I am. And to give compassion and empathy towards other Native people." "The third floor ... they've taken all the walls and everything down … [and] every day they were bringing things over that they found hidden in the walls, underneath the floorboards; notebooks, running shoes, tin cans that had been pried open, matches, Valentine's cards that were never delivered to their mothers. We found so many things. We're going to have a collection of things that were found in that building. So you think of an artifact, you think of a table and a chair and how interesting that might be ... but to find a little notebook that a child wrote in ... now that's an artifact. It is. So it's unearthing things. It's awakening the building. It's awakening the past." "There were lockers on this side, where they would have the little boys, because they cried, like all the time, so the older boys, to kind of have them not cry, would put them on top of the lockers and so they were close to that pipe, and they would tell them to hold onto that pipe, and just picture your mom. Because the pipe would be warm. And I guess they would stop crying for a little bit." "​Why did they have straps that had little metal things on the end of it? And why were they even given straps in the first place?... They didn't go and get it themselves, it was given to them; they all had it. And who gave everybody the right to be able to do what they did to the children? What were we here for? Is that what we were here for, little kids to be able to be taken advantage of, and raped and everything? And to scrub their floor?" "[When I spoke to the commission], my daughter came with me. 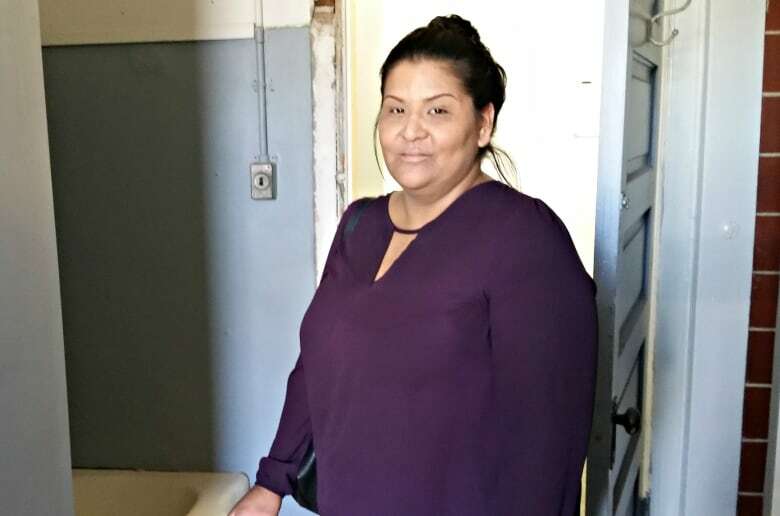 She said: 'Mom, when you started opening up, it was like opening up a can, and you got so angry, and they kept trying to ask you certain questions, and you kept going on with your story, they had to tell you to stop and listen to what they're saying.' And I said: 'But that's because here, we didn't have no voice.' At least now I have a voice, and that's why I share my story." That's very true, we didn't have a voice. And where all this trauma took place was in the sewing room. The one place where I really wanted to be and really liked being. It was traumatizing, because I was thrown into the closet and everything. And I still have a hard time even imagining how this person could do what she did to me. I could never do that to anybody. Or even come near to doing something like that. "To hear the stories, to walk through the rooms, you feel it in every part of you. And yes, there is something in that building that is an overwhelming sadness.... We have many people on our tours faint or fall or pass out or run out of there. Because there's just so much. It's just so heavy. So for the first month, I went home and just hugged my son. I just hugged him and wouldn't let him go. He would be squirming, trying to get away. But I just thought, 'No, I'm so lucky to have you in my life.' And because my Dad was the first generation that actually got to parent his child. So I don't take it for granted that I have my boy." "I do affirmations for the inner child every day — to say that I love her, and that I'll take care of her. So that's what gives me strength, because you have to have the positive. All the time." "I had to go back and honour the child. That child that was me. And get her through, and it was a very difficult thing. And also get through all of the things that were done to me and stuff like that, and try to get it out of my mind. But it never really leaves you or anything." "The residential school robbed those children of hearing their ancestral stories. And then as adults and elders, robbed them of the opportunity to pass knowledge on to the next generation. But I think what they're discovering is, the knowledge they have, as a resilient survivor, strength and spirit, that's what they're passing on ... how to survive through this, how to come out on the other side and still have a vibrant life and be able to give to the next generation. So I feel like the renovation isn't taking any of that away, but it's bringing to light what needs to be brought to light." 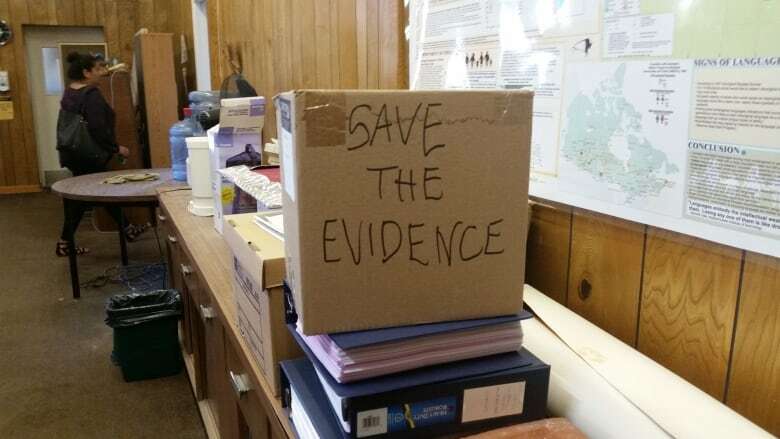 Click Listen above to hear Jeff Goodes' documentary, Save The Evidence.